The Chugwater 4th and 5th graders have had a busy fall. 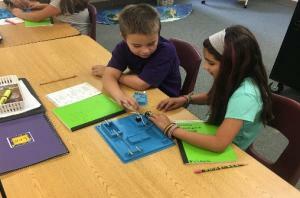 Throughout the month of October students had the opportunity to explore Energy and Circuits. 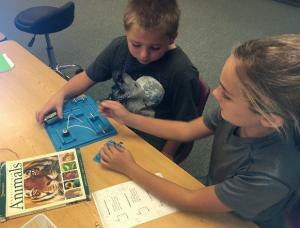 Hands on investigations were a big part of this unit. 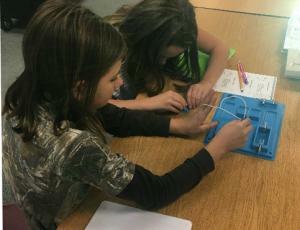 Students used an energy source and wires to explore incomplete circuits, complete circuits, series circuits, and parallel circuits. 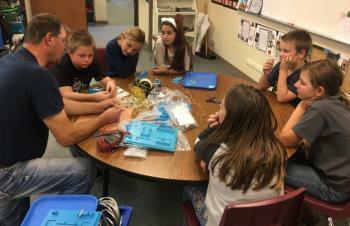 At the end of the unit Mr. Van Why was a guest in our classroom and provided kids with the opportunity to explore a digital volt OHM meter and discover how to make a complete circuit to run a motor.